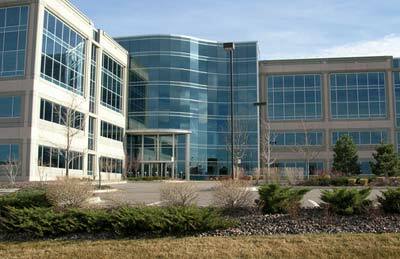 Headquarters projects for WhiteWave Foods (left) and McData Corp. (below) were among the high points of 2005 for the Broomfield Economic Development Corp. in Broomfield, Colo., outside Denver. Online databases, labor assistance tools propel leading economic development efforts. eflecting a U.S. economy that has averaged 4 percent GDP growth for each of the last 10 quarters, this year's Top Economic Development Groups represent virtually every major region of the country. While the South continues to dominate Site Selection's annual rankings of top groups based upon actual economic performance  with six of the top 10 and 13 of the top 20  some of the top-performing organizations also hail from Colorado, Illinois, Indiana, Michigan and New Mexico (see rankings box). Twelve different states are represented in this year's rankings. Texas, winner of Site Selection's Governor's Cup award in March, leads the way with four top-ranked community organizations, including two in the top 10 and two in the Honorable Mention category. Illinois and North Carolina also both placed two community groups in the top 10 ranking, with North Carolina adding a third in the Honorable Mention list. The award winners were selected by Site Selection editors based upon the development organizations' overall performance in the following categories: total capital investment; jobs created; investment per capita; jobs per capita; overall economic vitality; depth and breadth of economic strength; diversity of industry; ability to generate breakthrough deals; and the overall quality of the group's nomination package, including verifiable documentation for all projects. The jobs and capital investment numbers carry the most weight; the subjective categories are used to separate groups that are otherwise very close in the rankings. From the US$600 million EADS Airbus project in Mobile, Ala., to two $120-million projects (Fidelity Investments and LaFarge North America) in Northern Kentucky, nearly every winner landed one or more breakthrough deals in 2005. Virtually every winning agency used a state-of-the-art Web site to generate interest from corporate site selectors and consultants, with several agencies embarking on major online upgrades in 2005. Online databases of available buildings and sites became a must for top-performing organizations in 2005. Those groups that didn't have this service simply were not able to compete. Work-force training initiatives moved to the top of the "to do list" of winning organizations in 2005. The ability to quantify and deliver a trained work force in specialized skill-set categories gave the winners a huge edge over their competition. "Partnership" became the operative word in 2005. Communities that showed the ability to bring together diverse groups under one united effort to market and promote a geographical area won more projects than stand-alone cities and counties. Not surprisingly, each of the winning organizations is also led by a well-qualified, senior team of economic development professionals. The competition this year was once again extremely close, as only a few points separated the top 10 organizations from the Honorable Mention groups. "Boom-field" would be an apt description for what's happening in the city and county of Broomfield, Colo., located in the northwest quadrant of the Denver metro area. The county of 48,000 people last year attracted five corporate headquarters firms and one divisional headquarters office from a $9-billion company. 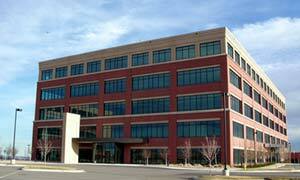 More than $135 million in capital investment and 1,337 jobs were added to Broomfield in 2005, led by a $34-million investment by WhiteWave Foods and a $30-million investment by McData Corp.
"The 2005 breakthrough has been our ongoing efforts to attract corporate or regional headquarters office or manufacturing facilities," says Don Dunshee, president and CEO of the Broomfield Economic Development Corp. "Currently, there are 22 firms that have world, U.S. or major manufacturing headquarters in Broomfield that employ 13,611 people." Dunshee adds that "we expanded the available data on our Web site to include real estate information on sites and buildings, demographics, plus links to state of Colorado and Denver metro area information on taxes, transportation, labor and incentives." Dunshee notes that Broomfield's ability to provide a "large pool of highly trained and available tech labor" was instrumental in landing a $5.5-million facility investment by Flextronics. The firm will employ 195 workers and occupy 50,860 sq. ft. (4,725 sq. m.) of high-tech, electronics manufacturing space. Broomfield isn't stopping there, however. Dunshee said the county is seeking expanded authority from the state to "increase grant amounts as job wages exceed the local county average." If the wage is 20 percent higher than the county average, says Dunshee, the job training grant would increase from $800 per job to $1,500 per job. Serving Elgin and northern Kane County, Ill., the Elgin Area Chamber of Commerce packs a lot of punch for a community that just topped 100,000 in population last year. With 2,137 jobs created and $307 million in capital investment announced in 2005, the Elgin Chamber's performance rivaled that of much larger metro areas around the country. 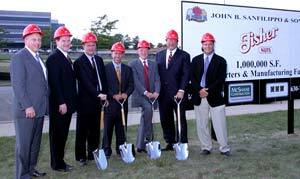 An addition to the former Panasonic building will be the new home of John B. Sanfilippo & Son, Inc., an Honorable Mention Top Deal of 2004 that presaged even more project growth for the Elgin Area Chamber of Commerce in Elgin, Ill., in 2005. "The real numbers speak for themselves," says Chris Manheim, vice president of economic development for the chamber, which also won a Top Groups award in 2004. "From 2001 to 2005, the Elgin area economy netted 656 new businesses and 8,007 jobs, according to the Illinois Department of Employment Security." Organizationally, the chamber economic development office is "quite small for a group serving around 150,000 residents and 20-plus business parks," noted Manheim. "We take a page out of the rural community development play book: We use a lot of volunteers  literally, hundreds." That effort paid off in 2005 as Elgin landed 16 projects of $1 million or greater. Among the more significant investments was Colony Display Systems Manufacturing's $24-million, 550,000-sq.-ft. (51,095-sq.-m.) new plant that created 450 jobs. "Colony is impressed with Elgin's location and proximity to the I-90 Tollway," said Noel Liston, senior associate at Darwin Realty and Development Corp. "The central location and easy access by a good labor force in and around Elgin [were] essential to the decision-making process." 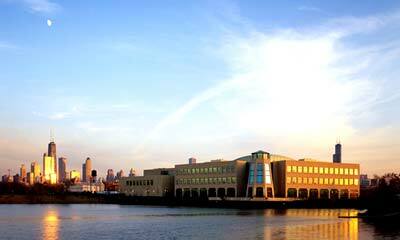 Like other winners, Elgin made commitments in 2005 to expand its work-force training efforts and improve its Web site. Through the chamber's Workforce Development Committee, the economic development office was able to redirect training dollars to a "flexible training program" for area manufacturers. Elgin also worked with the state of Illinois, Aquila Inc. and Ameren Energy to allow developers and brokers to electronically update their available buildings and sites on the community's LocationOne database. They have a saying in Grant County, Ind., whenever a company selects the Marion area for a significant capital investment. The company "Made It Marion," the folks at the Grant County Economic Growth Council say. In 2005, some pretty big spenders "Made It Marion," including two mega-retailers who each brought a 1 million-sq.-ft. (92,900-sq.-m.) distribution center to town: Wal-Mart and Dollar General. The two projects, representing $130 million and 1,400 jobs in combined investment, were two of the largest projects announced in all of Indiana last year. The county of 71,000 people also landed Central Indiana Ethanol's $58-million, 40-job plant; JSG's $4 million, 30-worker investment; and Titan Recovery's $4 million, 200-employee regional call center. For the year, Grant County secured $270 million in capital investment and 2,000 new jobs. "The organization is partnering with the regional work-force investment board, the local community college and the two liberal arts colleges to develop tailored training programs and promote lifelong learning," says Tim Eckerle, executive director of the GCEGC. "A company in Grant County recently hired 60 individuals that went through the drug screening process with only two failures," he says. The same firm's national average for drug screening failures is 30 percent." A big part of Marion's attraction is that it falls within a 400-mile (644-km.) truck drive, or one day's travel, of Chicago, Milwaukee, Indianapolis, Detroit, Cleveland, Cincinnati, Columbus, Toledo, Dayton, Louisville, St. Louis and Springfield, Ill. Marking three consecutive years as a top 10 economic development group is the Greater Dallas Chamber of Commerce, representing the No. 2 performing metro area in the country (behind Chicago) in total new and expanded plant activity in 2005. With 309 projects and $3.4 billion in capital investment last year, the Dallas-Fort Worth-Arlington metroplex was the most dominant region in the most dominant state, Texas. Major projects highlighting the performance of the 12-county region were a $120-million printing plant expansion by The Dallas Morning News in Dallas; a $120-million headquarters building by Hunt Consolidated Inc. in Dallas; a $100-million intermodal terminal expansion by Union Pacific Railroad in Wilmer; and a $100-million Dallas headquarters expansion by 7-Eleven Inc.
Vital to the Greater Dallas Chamber's efforts were the continued strong performances of Fort Worth and Richardson. In Fort Worth, Bell Helicopter announced a $100-million manufacturing plant expansion that adds 100 jobs and 66,000 sq. ft. of space (6,131 sq. m.). In Richardson, Fossil Inc. announced a $13-million expansion that adds 200 jobs and 132,000 sq. ft. of space (12,263 sq. m.). Fort Worth, whose chamber nets an Honorable Mention this year, also secured major capital investments from Allied Electronics ($35 million), LG Electronics ($24 million) and Klabzuba Oil & Gas ($30 million). Richardson, known as the Telecom Corridor, averages 50 technology companies per square mile and is one of the densest high-tech areas in the U.S. Texas Instruments is on track this spring to complete its $3 billion wafer fab plant in Richardson, one of the largest capital investments ever undertaken by a U.S. company on American soil. The mass exodus of Houston residents fleeing the path of Hurricane Rita last fall was the exact opposite behavior of corporate America in 2005. With 214 large-scale corporate facility projects last year, the Houston-Baytown-Sugar Land metro area was third in the country, behind only Chicago and Dallas. Topping the list of capital investments was Natural Fuel & Energy, which last year announced a $60-million plant in Houston to manufacture biodiesel fuel. The Houston Cement Co. announced a new $42-million factory and distribution warehouse, and the Metronational Corp. said it would build a new $36-million office building. Other big spenders in Houston last year included Invensys Process Systems ($12 million), Glass Wholesalers Warehouse ($10 million), Sverdrup Technology ($6 million) and Mitsubishi Caterpillar Forklift America ($4 million). What makes the Houston area so attractive to companies? Besides its 5.3 million people and work force of more than 2.6 million, Houston has a reputation as a fast-growing technology center. Some 21 Fortune 500 companies are headquartered in Houston, and 51 of the world's 100 largest non-U.S. corporations have non-retail operations in Houston. 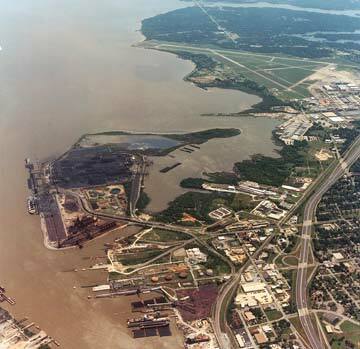 The Port of Houston is the world's sixth largest and routinely ranks first in the nation in volume of foreign tonnage and second in the nation in total tonnage. Houston has more than 300,000 students enrolled in more than 60 colleges, universities and technical schools throughout the area. The median age of Houston workers is 33, compared to the national median age of 36. Mobile's Brookley Field is the site of EADS' proposed $600-million assembly plant for aerial refueling tanker assembly. The project was just one highlight of a banner year for Mobile, with more waiting in the wings. While EADS Airbus and its $600 million, 1,150-worker project rightfully grabbed the headlines in Mobile in 2005, outsiders may not know that Mobile garnered 25 facility projects totaling more than $800 million in capital investment in 2005. Austal USA announced it would employ 600 workers making high-speed aluminum ferry boats. APM Terminals North America announced it would hire 310 workers at a new container terminal warehouse. Other significant investments came from Kimberly-Clark Corp. ($38 million), SPI/Mobile Pulley and Machine Works ($11 million), Masonite International ($9 million) and Kvaerner Oilfield Products ($4 million). The Mobile market has a population of 400,000 and is the largest metro area along the Gulf of Mexico between New Orleans and Tampa. The Mobile metro area includes Mobile and Baldwin counties and is centrally located between Houston, Memphis, Atlanta, Dallas and Tampa. Thus it is quickly becoming known as a hub for the region, linking area companies not only with major U.S. markets but also with emerging markets in Central and South America. The Mobile Area Chamber maintains a buildings and sites database for the area, with each property offering a photo, important characteristics and a map. Information is provided by the local real estate community. They're getting used to winning contests in Mooresville, the place NASCAR fans like to call "Race City USA." Repeating from last year as a top economic development group, the Mooresville-South Iredell Chamber of Commerce raked in 37 projects totaling $302 million in investment, 1,125 jobs and 1.77 million sq. ft. (164,433 sq. m.) of space in 2005. Not bad for a community of just 25,000 people. Part of the No. 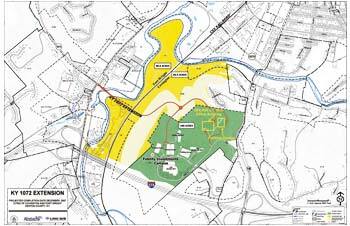 1 Site Selection Micropolitan Area of Statesville-Mooresville, N.C., the town of Mooresville is known as the corporate headquarters location of Lowe's and the home of many NASCAR Nextel Cup racing teams. Major projects announced in Mooresville last year included Lowe's Companies' $110-million headquarters, NGK Ceramics USA's $60-million expansion, Polymer Group's $40-million expansion and WinCup's $25-million expansion. Melanie O'Connell Underwood, executive director of economic development for the chamber, is quick to credit the regional partnership with bringing many jobs to Mooresville. "The 16-county region that makes up Charlotte USA is our biggest resource when it comes to recruiting new businesses and generating new jobs," she said. "Without the region as a whole, we wouldn't be where we are today. Creating new jobs and increasing capital investment in our community takes a cooperative effort on behalf of local governments, businesses and citizens." The chamber recently completed a strategic planning process that resulted in a new branding campaign and new strategic direction for the community's economic development efforts. Serving a three-county area with a population of 350,000, Northern Kentucky Tri-Ed posted a banner year with 41 new or expanding companies, 2,997 jobs created and $444 million in new capital investment. To put this achievement into perspective, consider this: Northern Kentucky Tri-ED serves only 8.2 percent of Kentucky's population, but the group accounted for 26 percent of the state's capital investment. The area exceeded the expected wage level for new jobs by 26 percent, with an average annual new job salary of $54,965. Northern Kentucky landed not one but two projects valued at $120 million apiece: Fidelity Investments, creating 3,500 jobs in a 350,000-sq.-ft. (32,515-sq.-m.) office facility; and LaFarge North America, creating 100 jobs in a 143,000-sq.-ft. (13,285-sq.-m.) expansion in Silver Grove. "The three-county Northern Kentucky region has become a preferred location for companies seeking a headquarters location, room for future growth and skilled, dependable workers," says Karen Finan, vice president of Northern Kentucky Tri-ED. "The adaptability of a work force that is constantly being educated and retrained will allow Northern Kentucky's technical and advanced manufacturing environment to thrive well into the future." Finan notes that a "redesign of our Web site is under way to accommodate more efficient use of our buildings and sites database." Among other new programs, the organization last year launched a proactive marketing program targeting industry sectors in advanced manufacturing, office and corporate headquarters and technology. The 12-county Piedmont Triad Partnership landed 42 corporate projects last year throughout the region of 1.5 million people. Anchored by Greensboro and Winston-Salem, the region is a hotbed of high-tech and advanced manufacturing activity. Haywood Pool Products, manufacturer of swimming pool equipment, announced it would create 75 jobs and invest $10 million at its plant in Clemmons. StarPet, makers of polymer resins used in food and beverage packaging, announced it would expand its only U.S. facility in Asheboro, creating 40 jobs and investing $44 million. Alcan Inc. announced it would open a tobacco packaging plant in the Reidsville Industrial Park, creating 170 jobs and investing $42.6 million. The "granddaddy" of them all, however, came in 2004, when Dell Inc. announced it would spend $100 million to build and equip a state-of-the-art, 400,000-sq.-ft. (37,160-sq.-m.) manufacturing and distribution plant at the Alliance Science and Technology Park in Winston-Salem. The project is expected to generate about 1,500 jobs at the facility within five years. The Piedmont Triad Partnership points to several reasons why so many companies are making large investments in the region: Construction costs are 30 percent below the national average; the region boasts the lowest cost of living among all major cities throughout the U.S.; the area provides many cultural, sports and recreational venues; and state tax credits include a 25 percent credit for research and development  an attraction for firms using research coming out of the many colleges and universities in the region. The region's work force of 638,000 includes 146,000 manufacturing workers and 492,000 professional and service workers. Downtown locations from Mittal Steel and CNA Financial were among the year's high points for World Business Chicago. With 389 projects and $6.5 billion in capital investment, the Chicago metro area was the undisputed king of America's large cities in 2005. World Business Chicago had a lot do with that. WBC directly recruited or retained 18,377 jobs and facilitated $3.9 billion worth of investments. Among the largest deals were the $550-million Mandarin Hotel investment, $220-million Trump Tower, $138-million investment by S&C Electric Co. and $50-million investment by CNA Financial Group. Metro Chicago has more high-tech workers (347,100), more non-stop domestic and international flights, more manufacturing output and more distribution companies than any other city in America. About 50 percent of North American industry is within one day's truck delivery of Chicago; 75 percent of North American consumers are less than two days away. ©2006 Conway Data, Inc. All rights reserved. SiteNet data is from many sources and not warranted to be accurate or current.